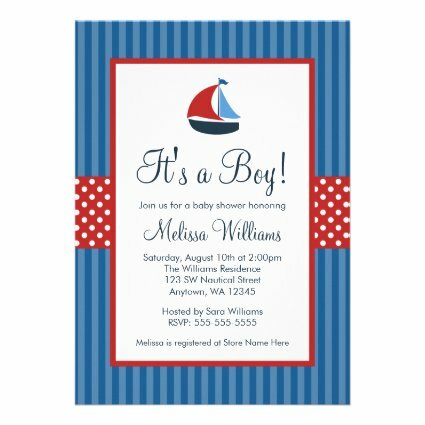 A modern and cute sailboat themed baby shower invitation. Featuring a sailboat, stripes and polka dots in shades of blue and red. Perfect for a little boy baby shower. Easily personalize for your party!